The "Shipbuilder" wrote on completion of the Olympic that the passenger accommodation was of "unrivalled extent and magnificence . . .. and the excellent result defies improvement". The Olympic and the Titanic could each carry 3, 295 people: 2,435 passengers, and crew of 860. The first class unrivaled luxury, decorative and spacious areas attributed to the exlcusivity of the first class. 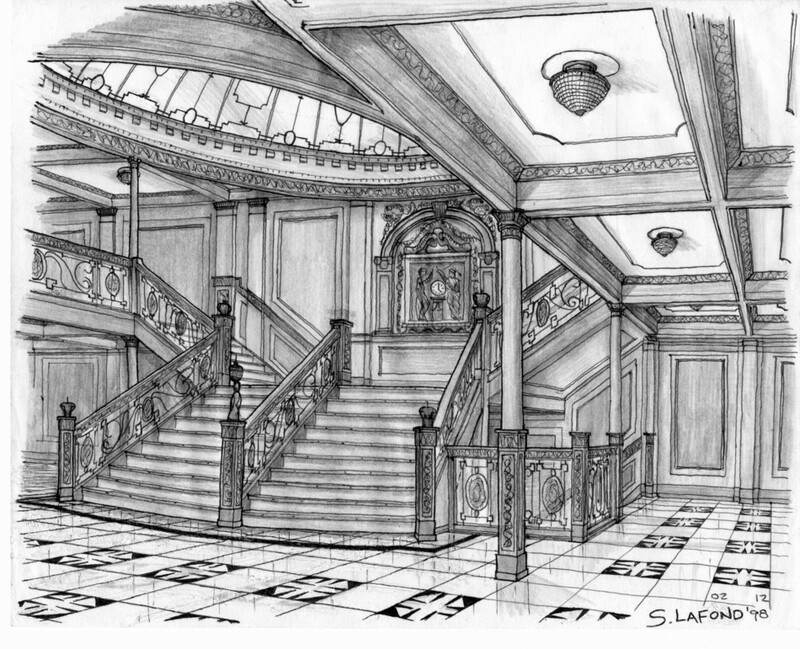 Continuing from "Inside Titanic: first class public spaces"
Second class passenger accommodation was to be found over seven decks. Exits were either by the second class grand stairway or an electric elevator which ran up and down all seven decks. Third class accommodation was much less luxurious than second class. Even so, third class or "steerage" passengers as they were known still enjoyed levels of luxury compared to most liners of their day. The White Star Line intended that the crew and passengers should not meet at any time during the voyage.